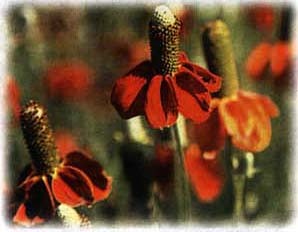 This variety of Mexican hat is blood- red with an occasional tinge of yellow. Very striking, very unusual. 20-24" tall.